With the Boston Marathon a week away, let’s all raise a glass of Irish whiskey to the running great known as Boston Billy. 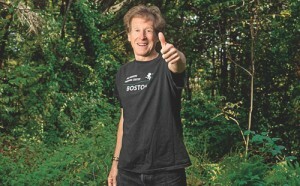 In his memoir, Bill Rodgers talks about chasing butterflies as a kid, just for the love of running. 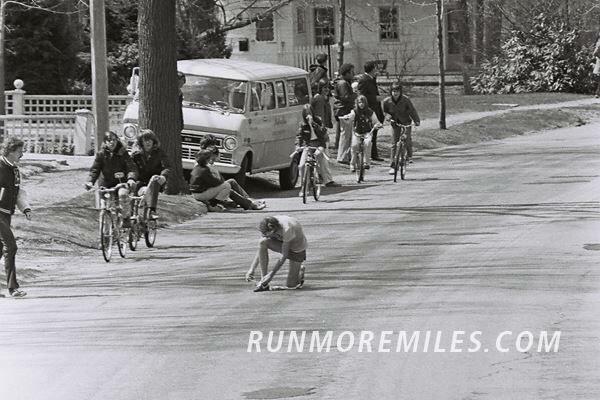 He kicked off the running boom of the ’70s, in flowing long hair, gardening gloves, and glam ’70s running shorts. 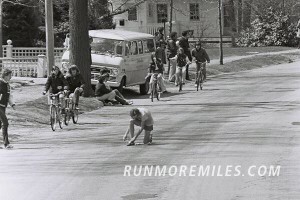 He famously stopped to tie his shoes in his first winning Boston Marathon in 1975. Rodgers is a cool figure, both as a running great and as a symbol for the world of fitness people. He helped to distill the vague consciousness-raising era of the ’60s into the running boom of the ’70s, with things that everyone did to make their lives better. He brushed elbows with many greats while becoming one of the greats himself. Billy was very DIY. He didn’t really have the focus to train seriously in college. His Wesleyan roommate, Amby Burfoot, won Boston in 1968, while still a senior. But Billy went on to become a successful pro runner when he was working full time as a special ed teacher in Boston. He would run twice a day, which meant sneaking out for lunch runs in the dead of Boston winter. Rodgers talks in his memoir about the fact that people thought he was crazy, would yell at him while he was training. 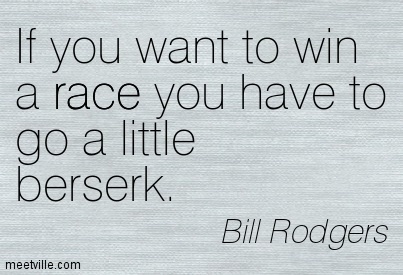 We’re just mid-pack runners here at the Gmaps blogging team, but we nonetheless feel kinship with Billy. He didn’t have a team (his brother helped, though), he wasn’t pro, he just went the hell out there and ran a lot, and look where it got him. 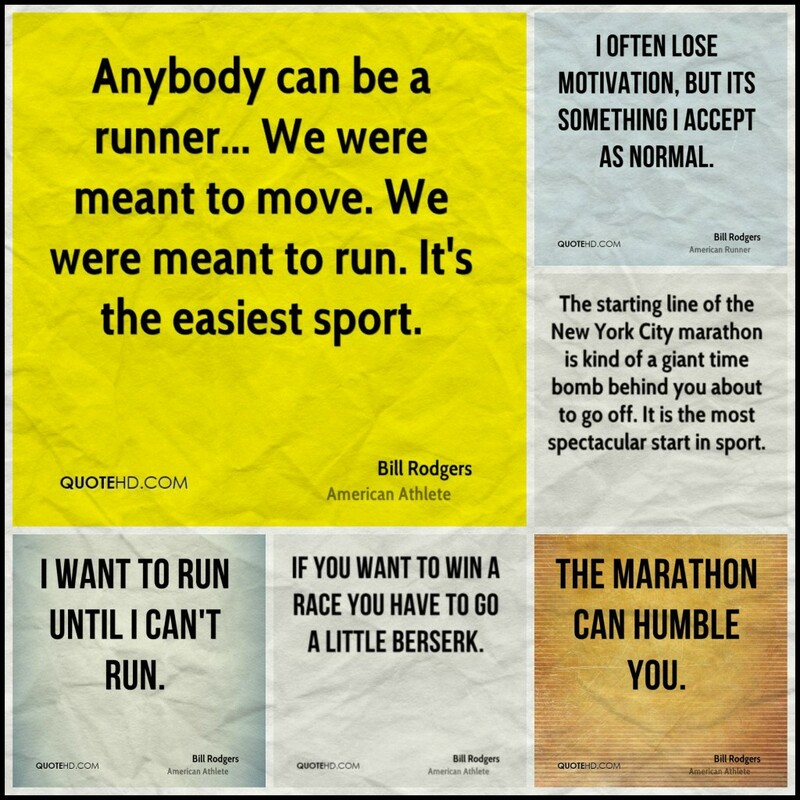 Nowadays, people accept and respect runners. But there’s still a bit of that crazy. We like Billy for being the representative of that. 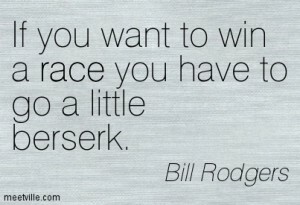 Here, because we love you, is a collection of some of our favorite Bill Rodgers quotes. Ed. note: Kathy edited the crap out of this post and made it way better, but insisted Paul take the byline.